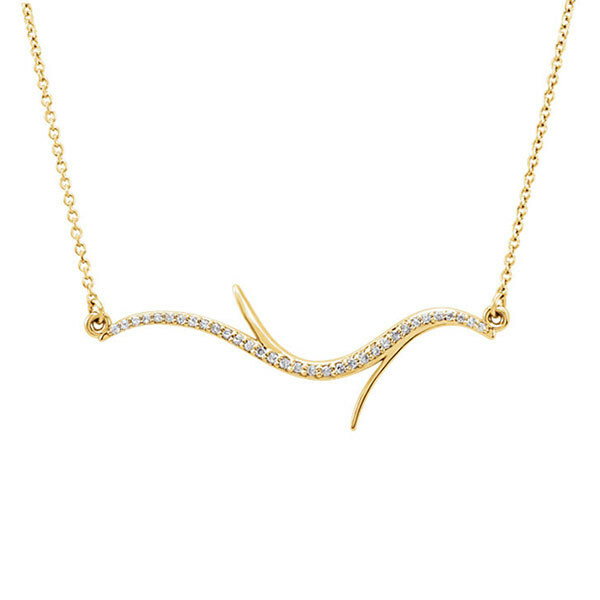 Let the dramatic flair of this diamond necklace show off your natural side. A branch is forged in 14kt yellow gold and stationed on an 18" link chain. Irresistible diamonds embellish the piece to give it sparkle. If you love nature, wear it stylishly!